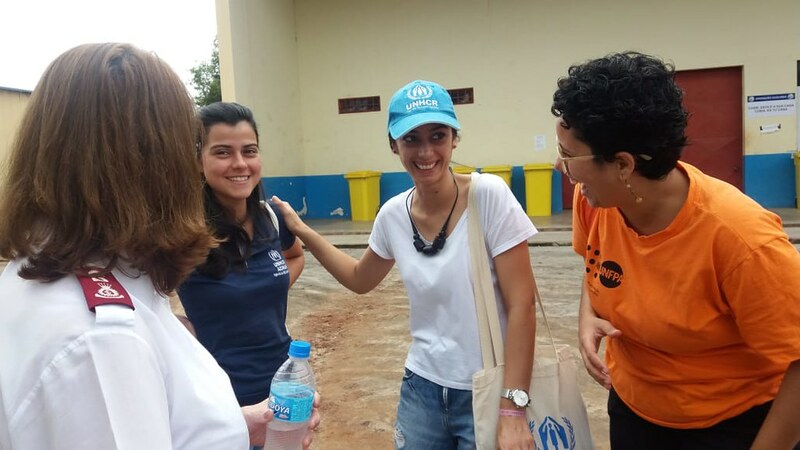 LOCAL people – along with refugees and migrants – have gained a new safe space in the state of Roraima, Brazil. The Centre for Coexistence and Psychosocial Care, which opened on 18 January 2019, is an initiative linked to The Salvation Army’s Bridges Project in state capital Boa Vista. It is being run in partnership with the United Nations Population Fund (UNFPA) and UN Refugee Agency (UNHCR), with funding provided by the European Union (EU). Services are provided for those who have suffered gender-based violence, with a particular focus on women, young people, disabled people and members of the LGBTI community. The centre’s service provision is part of the multi-agency response to the large-scale migration of Venezuelan nationals into the area since July 2018. Among the services that will now be available are social and psychological assistance, legal counselling, therapeutic and life skills workshops, and socio-educational activities. These services to the community will be carried out by professionals with specific training in each area, from Monday to Friday. Centre staff can also help with registration processes, sheltering of the most vulnerable groups, providing access to information and taking any other necessary action to support and care for children and victims of gender violence. The partnership between UN agencies, civil society, local governments and the EU aims to not only extend the protection of refugees and migrants, but also to ensure peaceful integration and coexistence with the local population. Services can be accessed by all, regardless of nationality, age, gender or sexuality. UNFPA is the United Nations sexual and reproductive health agency. Its mission is to deliver a world where every pregnancy is wanted, every childbirth is safe and every young person’s potential is fulfilled. Visit unfpa.org for information. UNHCR, the UN Refugee Agency, is a global organisation dedicated to saving lives, protecting rights and building a better future for refugees, forcibly displaced communities and stateless people. See unhcr.org for details. The Salvation Army is an international church and charity operating in 131 countries worldwide. Its mission is to preach the gospel of Jesus Christ and to meet human needs in his name without discrimination. The Salvation Army has been at work in Brazil since 1922, offering diverse social care provision. For more information, see salvationarmy.org.